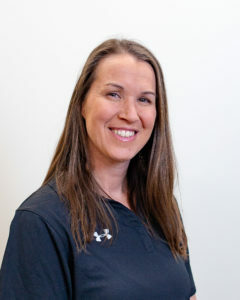 Prior to coming to Wake in September 2017, Dana was the Associate Director of Programming at UNC-Pembroke where she primarily oversaw the Intramurals, Club Sports, and Group Exercise Programs. She started her professional career at San Jose State University in 2005 where she spent close to 9 years working in Outreach, Marketing, Special Event Management, Fitness Programming, Intramural Sports, and for a short period of time, she was the interim Cheer Coach–basically Dana has done a little bit of everything! Originally from King, North Carolina, she studied Hospitality Management and Business Administration at Eastern Carolina University and received her M.S. in Recreation Administration from Georgia Southern University. At Wake, Dana now loves training students to officiate sports and watching them gain confidence in learning to do something they’ve never done before.